May I add my DPS (I'll try to be short) 2 cents, but no so much about talents but just "in general". I recently answered a mail asking about DPS and how what I stated I was doing was so much higher than their numbers in similar item level. They thought they were doing something wrong even though it seemed like they were not. I told them something along these lines. Suggesting absolutely no rotation advice and no talent choice advice. Sometimes DPS can be deceiving. Even damage done which is a better guide can be deceiving. 1) Item level tells gear level, it does not take into account trinkets and tier sets and weapon item level all of which can be huge, beyond huge this expansion. So consider, do you have the 4 piece set, are you using good trinkets, that could be the difference. 2) Randomized gear can also throw a monkey wrench into comparing numbers like that. I have 4 gem slot with 4 75 critical strike gems in a spec that stat is a huge factor in, which increases my DPS but does not increase my item level. How many do you have? 3) Next you need to really look at fight lengths. I gave an example from three recent fights I did, all the same boss, all with very different results. I was the same player in the same gear, but my numbers were extremely different in the three kills. One was very very short because the group had exceptional DPS and I finished with extremely over powering numbers. One was with an average group and I had my normal average numbers. And the last was with a very sub par group and I did, in a word, dreadful. I told them, look at fight length. If I say I did 81K on a fight and you said you are only doing 50K, maybe I was killing it in 2 minutes and your fight dragged on for 6 minutes, which can easily drop your DPS because you spend less time in the burst phase. 4) Group make up can play a part. Do you have no melee and are concentrating on interrupts? Do you have no ranged and seem to be the target of every single ability under the sun that the boss does? All these can have an impact on your DPS. 5) Special assignments. I normally rank in the 95-99% of my gear level which is decent but if you look at me on the first fight of HFC you will see I am rarely over 70%. The reason for that is I let everyone else hog all the AoE and pad the numbers and I work strictly single target saving my focus to quick burns and cooldowns for when a single target needs to go down fast. My numbers might seem lower, percentage wise, but I am playing a vital part to the group effort. Just as the person that is thinning the pack for me with AoE so I can kill shot everything under the sun. 6) Raid difficulty. Difficulty level can very well play a huge part. If my "heroic" group goes into a "normal" my numbers seem absolutely crazy. But with that same group doing heroic I never touch those numbers. I did not suddenly get bad or worse, the fight just has more mechanics, maybe more down time, or as mentioned above, take considerably longer to end. I could go on, but do not read "just" numbers into the DPS someone ever says, a lot more plays into it than just doing your rotation right. My suggestion was to look for logs that have people in similar gear with similar fight lengths to judge how they are doing compared to others. Not to compare yourself to someone saying, Hey I did xxxK on so and so. Because they might have been really over gearing it or maybe just had the blessing of elune and had procs like crazy, or maybe every piece of gear they have comes with a +75 gem in it. You just can't tell without knowing the whole picture. Damn, sorry I went on so long, should have just made a post about it. lol And it went more than a little off topic with what you were talking about. Sorry. I'm not totally sure I'm remembering this correctly, but I think it's from AMR logs, that they have a feature that will recommend a parse to compare your log it (maybe if I can get Vee to read this, she'll correct me). I believe what it does is looks for someone with a similar ilvl, in a similarly progressed group, similar kill time, etc, but who did better than you, and gives you a comparison of the two parses. I haven't really played with AMR logs too much, but I think that's a great feature. I have a similar reaction as you to HFA. On several fights recently, I've been intentionally looking for things I could do other than high DPS to help get kills. Just as a way of being really intentional with not fighting for the top slot on skada, but trying to be the best raider I can. It gets hard, especially if you're used to being on the top of the meters, and people start taunting you for being third or fourth. But still, I think it's good for me. And I think it's good for the raid as a whole. I'm hoping we can get people to be overly-competitive about doing mechanics right, taking the least avoidable damage, etc. Speaking of, i'm still really enjoying Kihra's Weighted DPS feature over at Warcraftlogs. I particularly like that I can make it even more extreme with custom weights. That way you can have one metric for your multi-dotters and heavy cleavers, and a totally separate metric for your single target specialists like MM. Both jobs are important, there's really no reason to compare them directly with something like overall DPS, though. Wow. While I certainly knew that DPS could vary significantly depending on the fight and your assigned duties in it, I never stopped to catalog all the various factors. Thanks for both the post and this terrific comment. One off the wall question : so how do you answer when someone asks you what your usual DPS is? I got that question a couple times in the past few weeks, when I was considering switching guilds to a more active raiding one. I really never know how to answer that. I have zero tier gear, and as MM I have done over 150k when burst/initial/AoE/ procs/buffs all converge, but clearly that is not what I do in an extended fight. Is there an accepted way to answer that question in a non-puffery way? When I get people asking me that, I usually give them a range. So I'll do about x-y on single target low movement fight, I'll do about a-b on a multi add fight like Assault, etc. I can focus on putting out numbers if that's my assignment, or I can focus on mechanical issues (like branded from Imperator). I think the person is just trying to gauge what contribution you can offer to the team, and it is often easier to say, "whats your dps?" instead of actually having a conversation good raid leaders will have. By responding in this way, I am communicating awareness of the variance, responsibilities, and showing a more complete picture of my skillset to the person. Never answer with a burst number, it is inflated by default. If I am being asked over all I'll say something like 70K-90K over all because on most fights my numbers will be in that range in a good group. Some fights like killrog if I am on a visions team I have broken 140K and even 180K, but that is specific and one fight, so fights like that do not count in my mind. Best bet it take iron reaver and high council, two somewhat good fights for hunters, and use those as your high number and low number + or - 10K. Not perfect, but a good quick way to give a round about. Fights vary too much to say "I do 80K" and you end up on 80K in every fight, just not going to happen. This post got me thinking about a nagging concern I have had all Warlords long. Something changed from Mists to Warlords with talents. I can't exactly put my finger on a specific issue to voice these concerns and perhaps the change has more diffuse reasons. I hardly ever switch my talents anymore; I used to switch my talents constantly in Mists. During Mists of Pandaria I regularly switched talents, often between back to back bosses and multiple talents. For the 14 boss Siege of Ogrimmar I count roughly 32-45 talent switches (depending on various roles in encounters) and in Throne of Thunder 28-35 talent switches. In warlords, that has drastically dropped. Blackrock Foundry I changed talents about 15-20 times for a full clear; whereas in Hellfire I change talents about 10-20 times depending on roles. What could possibly account for this major falloff in using talents to adapt to specific encounters? Of course, I did the initial soul searching: have I just gotten lazier in my talent choices, accepting the minor % of dmg a talent switch would offer is lost? Hell no! I'm competitive by nature, and until recently hadn't been topping the meters (and considering I still regularly leave 10-35% of my potential in the twisting nether, I have a heck of a lot of improving to work on. And as a sidenote: you clearly show in this article that the simple talent tweaks don't account for that sizeable of loss, so yes I need manage my rotation better. /sidetrack over). Aaaaanyway, so I took a look at the encounters and worked through them in my head. I don't change talents as much in Warlords, because I am not seeing significant benefit from changing the talents. Somewhere along the way, the effectiveness of talent switching to more effectively perform my responsibilities has waned. Could it be the similarity of the fights, like adds adds adds...cough I mean Blackrock, and priority adds in Hellfire? Are the talents I am not inclined to switch off of, that much more powerful/effective than their other choices (Lone Wolf anyone....)? I don't believe it is a individual spec issue, as I played SV/MM in Highmaul, BM/BM/BM in Blackrock, and MM in Hellfire, and all of them saw reduced choice making. I have noticed the same. I thought it was mostly because I am not doing mythic so it is not as important and I can be lazy, but I think it has more to do with there is less reason to switch now. Before it seemed one talent was clearly better than another in a specific situation where it seems now that is not the case. So part lazy, part not needed. But I don't really switch any longer either. hmm, yeah... I definitely don't switch as much as before. Part of that is, I think, that MM lends itself to doing only one job. That is, no matter what, it's not going to have amazing cleave/aoe. So why not just be a single target / priority add specialist. The only talents I regularly switch are LW and FS. And really I only use FS because of issues that are specific to my raid team. There's only one fight where I would use powershot over barrage, I guess. However, I don't think we have many talents that are within a half a percent of each other when sim'ed, like in the article I linked. Focusing Shot / Lone Wolf are fairly close in a patchwerk style fight. If you're using Focusing Shot, then Crows is only about .8-1% behind stampede. I haven't really tried, but maybe there are some fights where you could take advantage of crows for priority adds and it would be more beneficial. Especially if you can get a lot of them to line up with the ring. But if you need the movement freedom of LW, then the extra pet from stampede is just too OP (still like, 3 % gain, not obscene or anything, but a significant increase, and way less buttons to remember to push). So yeah, I don't know. If you find any interesting builds that work well, let me know. Zoopercat's article is amazing. It should be required reading for all raiders, or at least people who dole out raid spots. 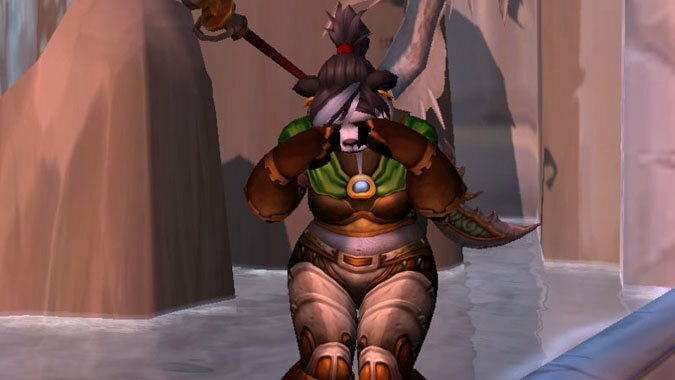 The reactions to he poll reminded me of the insanity at the beginning of WoD when hunbters were told they couldn't raid without being MM-Lone Wolf. For normal Highmaul.. Anyway, glad the article is propting this conversation in the community. It's a good one. As I recall, and I could be wrong, hunters started this expansion well. In HM you could be anything you wanted. In BRF, the same, but people leaded toward MM or SV but BM could work just fine in the right hands. It was not until HFC do I ever recall anyone saying "you are doing it wrong" when someone was in survival spec. So in the three raids we only really ever had one completely dead spec. At the very beginning, MM was considered the "right" spec, I think. The SimC team hadn't noticed (or if they had, it wasn't reflected in the simulations) that Arcane Multistrikes were proc'ing full ticks of serpent sting, so most people didn't realize how strong SV could be. And then at the end of the first week of raiding (right before mythics were opened) they nerfed MM. With the nerf, I think everything was viable, with SV slightly higher if you had MS gear (which most people didn't). I loved the insights in this post (and the comments). I am revisiting it today while collecting other people's insights for part 3 of the article series.